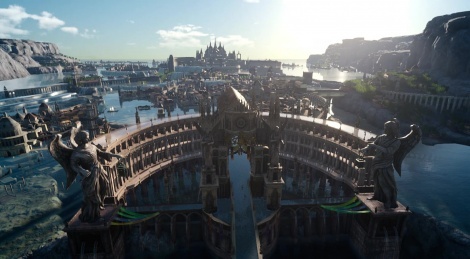 Here is the third trailer from the World of Wonder video series for Final Fantasy XV. This time it's all about environments. 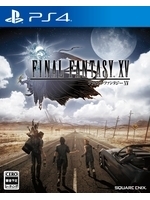 Square Enix will release the game worldwide on September 30. Very nice trailer,i hope everything comes together for this game,it's been a long time coming. Looks pretty nice. You can tell they been working on it for 10 years. A playstation Neo it is then. It would be a shame if this game didn't land on PC. Come on announce the PC release ! This is simply remarkable. The thumbnail shot is actually in-game as well, straight from the trailer. that is also amazing. I really do hope they don't go backwards at this point. whatever it takes to bring this over with all of it's detail intact. They can make an ultimate pc version but on the consoles i expect nothing short of this trailer. the lighting and water effects are spot-on. Too beautiful I feel sinful. not to mention the fact people have played this, we've seen what it looks like in-game and it's got some of the shoddiest IQ i've seen. no AA generally makes for poor IQ, yes. throw in some "dynamic resolution" and you got yourself a pretty shoddy looking game. soft and jaggy aren't exactly my idea of great IQ lol, but clearly yours is. Easy, I'm wasn't dissing you in any way. But since i didn't play the demo and since you brought it up: By "dynamic resolution" you mean blur due to texture streaming or what exactly ? It's a common issue in many games (i hate it too) but considering the scale of this I can deal with that. It will still be an enjoyable and marvelous looking game, just not for you. Your loss, not mine. the resolution of the game shifts lower or higher depending on what's happening on screen. basically it's not 1080p. it can reach that on PS4, but it can also go as low as 880, and xbox as low as 760.
low resolution + no AA and no AF = bad IQ. LOL, i was neither reading attentively enough nor was I aware it was using that. Kind of a bummer if it still goes into the 20's range then. Does gameplay suffer? I mean, it's not a competitive shooter, so if it controls just fine i'll buying it anyway, just not day one. Good music. I thought it was Ave Maria at first.